Last week I shared with you the topic of 'Patience' on my weekly inspirational blog post. 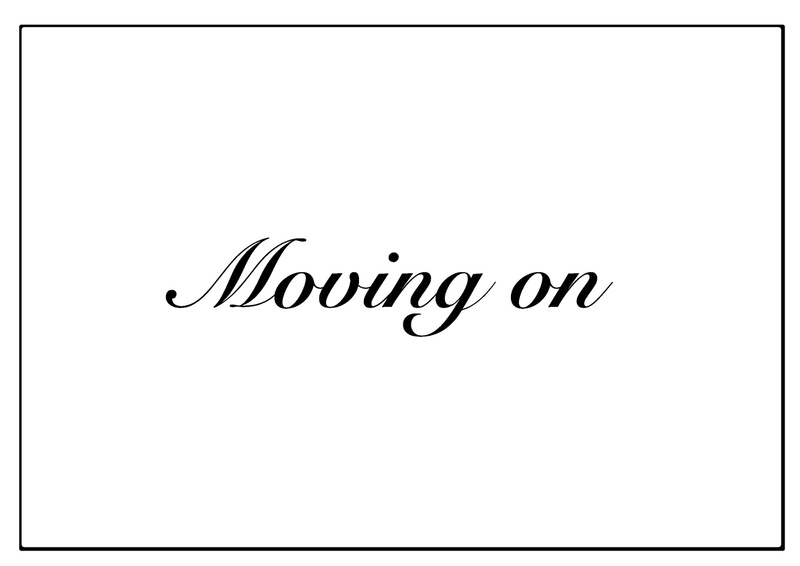 I want to carry on from that topic to this week by talking about moving on. 'Moving On' is a key part to having patience. The reason that is, is while you are having 'patience' for something that you have been praying for, and something your heart has been longing for, you should just 'move on'. My point is, don't dwell there, what will you gain from staying stagnent in the exact spot, its not healthy for you, your focus would be anticipating the arrival on what you have been praying for and it sometimes prolongs the expectant due date of this arrival. Whilst you are waiting, move on, occupy yourself, dwell on other things, help someone else achieve their dreams, encourage someone, encourage yourself! I am not saying forget about it, because that is impossible, what I am saying is, don't punish yourself, there is an appointed time for everything, you are already blessed, the manifestation of that blessing will appear once you focus on building your strength, your abilities and just become a better you, before you know it, your blessing comes. Yesterday, I put out a video about my pregnancy ending. This was the hardest thing I could do. I did not elaborate on how I felt, although it was obvious that I went through the most tragic experience of my life. During the time it all happened, I was deeply bruised, I found it hard to breathe. I felt so much pain. The emotional pain in my heart, the mental pain in my mind asking myself all sorts of questions, the physical pain in my lower abdomen from the impact of the birth. However, within a week, there was an urge for me to actually just get up and move on. I looked at my life and saw I have SO much to live for- career, health, happiness, love. I just said to myself, I want to do this, and that, and this and that! All of sudden, I just want to run and be free. I want to be the best person I can be. In the past I have battled severe depression, and I mean absolutely felt as if there was no hope. By Gods grace, I overcame that dark chapter. I understand the importance of not rushing and taking my time. But I need to make other plans to move on otherwise I will be drawn right back to that state of depression. Moving on, is the best step you can do once you have encountered a loss or a failure. Do not dwell there.... don't you realise you still have the breath in your lungs to breathe. Pick up yourself and carry on, love and cherish the life God has given you. Plan bold steps into greatness. Don't mope around beating yourself up, whatever happens is an experience to teach you a lesson and strengthen you so that you in turn can be a blessing to others. This life, is to be lived! I don't know how long it can take you to move on from your situation, it may take some quicker than others, don't rush, but definitely have it in mind that YOU CANT DWELL THERE FOREVER! Give yourself a chance to heal, but staying in that area for long periods only dims the light and it will get to the point where you cannot see at all.